We’ve become a world used to the voiceless communication. Text and chat. Talking to someone on the phone is legitimately frightening for some sales reps. Even experienced sales reps can get a little cold calling anxiety. And yet, phone acumen is ironically, paradoxically more valuable than ever. The reasons for this are manifold. Phone conversations reduce the need for travel and face-to-face meetings early in the selling process. It’s an ever-more global economy which has increasing reliance on Skype, VoIP, and web conferencing tools. And the workplace is multi-generational. An intermingling of the Baby Boomers who are more familiar with phone usage and the following generations, who are increasingly more comfortable with digital forms of expressions (email, SMS, etc). So, like it or not, the phone is here to stay. Smugly ringing off all the bells sounding its imminent demise. But what if the thought of the phone sends you into a panic attack? Or simply makes you really uncomfortable and nervous? There’s ways to slay that cold calling anxiety demon. And we’ll discuss some below, after delving into precisely *why* phone anxiety is a thing. It turns out, phone anxiety is a natural phenomenon for a lot of people, across all categories of humanity. It’s also an aspect of social anxiety disorder, which affects 15 million people in the US. As Alison Papadakis, clinical psychology professor at John Hopkins University, notes, “All we have is the voice, so that can be a bit nerve-wracking for people.” Nonverbal clues gone = anxiety spike. And unlike written communication, where we have both a time buffer and deletion before sending options, real-time conversations demand more immediate responses. Jeremy Jamieson, a University of Rochester psychology professor, observes that inexperience also plays a major role, and that millennials in particular often don’t understand the structure and segmentation of a phone call. It’s analogous to your grandparents not understanding the meanings of emoji. But again, phone anxiety reaches all ages and classes of people, and aren’t limited to millennials. Justin is about to go into his awesome insights on cold calling anxiety. Before this, I wanted to share with you a “why” you need to cure the fear. When we are afraid, we seek things that can help. One of these things is…the script. Some can do these scripts very well and see results. But others — not so much. More than half of the people you talk to love it when you don’t read from a prepared message. That’s a pretty big deal. And to get off the script — you have to be comfortable in your own skin. Now, back to helping you conquer that phone anxiety. 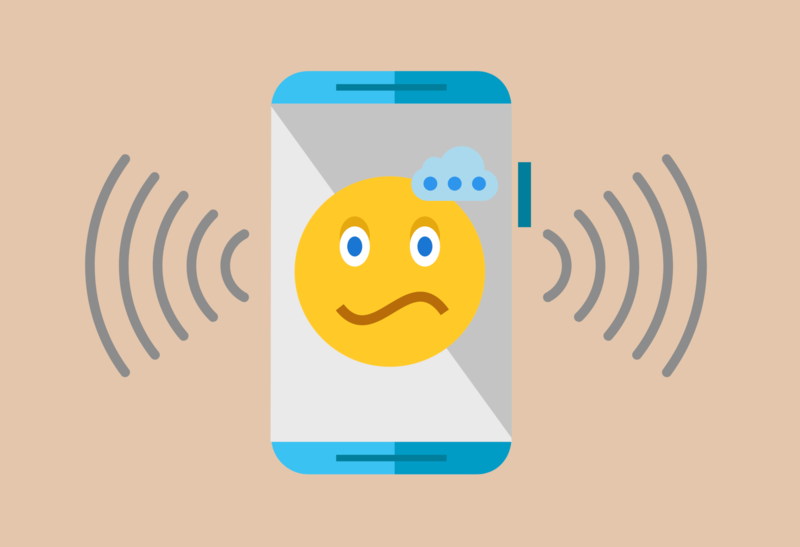 Now that we have a general idea as to the reasons behind phone call anxiety, we have the theoretical framework for understanding why the following actionable solutions work. They either provide structure or get you in the right mindset. 1 Use a flexible framework. Many sales reps and teams use call frameworks as a guide to conversations with prospects and customers. Using a framework is helpful, and should be practiced with others in role-play situations, until it sounds organic. The best call frameworks are designed to extract specific information and are geared towards discovering the 4 Ps of prospects – Problems, Positioning, People, and Process. The crux of every sales effort in this brave new economy is solving customers’ problems. In order to do that, you need to know what problems your prospect is facing and how your company’s offering addresses those concerns. This should be your first priority, because if you don’t know what you’re solving, you’re wasting everyone’s time (including your own). Once you’ve identified problems, it’s time to position your product as a viable solution if it actually can be one (emphasized because it’s really important that it’s true. Remember, in sales today, it’s about building relationships and trust, not getting a sale). Often in sales, there’re multiple people who will be a factor in the purchase – especially in the B2B world. Therefore, you should find out during the sales call who these other stakeholders are, and who literally signs off on any final deal. Find out as much as you can about how the prospect’s buying process operates. When do they finalize which proposals they’ll hear? What are the steps involved in evaluation and what approximate timespan is involved? The better you can understand their process, the better you and the rest of the sales team can plan your strategy. When sales calls give you dread and you find yourself lollygagging, making excuses to procrastinate, sometimes you just have to force yourself to delve in. Obviously you’ll want to make sure you’ve prepared your research and talk track, but once that’s done, plunging in can get you into the working rhythm once the initial discomfort is out of the way. 3Be curious about other people. Alexa Fischer, whom you might know from one-off episodes of NCIS, JAG, and Lie to Me, is a motivational speaker and career coach. Her advice is to worry not about being clever or sounding smart, but to be curious about others. This is an especially useful trait to cultivate, because in sales, you spend a lot of time finding out about customers, their situations, and needs – and curiosity helps you in those objectives. To cultivate this, shift your thinking from paranoia about the call to curiosity about what you’ll learn from the person you’re calling. This removes the self-absorbing and sometimes self-defeating focus from your own performance to a prospect or customer-focused approach. And really, this is what you want to do anyway – make sales customer-centric. Another avenue to enhanced curiosity is to work on honing your sense of mindful living. There’re tons of resources out there, including free ones, on how to do that, so we won’t talk about them here. The key point: Mindful living makes you observe the world around you, reviving the sense of wonder and inquisitiveness you probably had as a kid, but lost along the way – great things to rediscover to make your sales calls easier. Susan Cain gave a TED Talk a few years ago about the power of introverts. In the lecture, she points out that introversion vs extroversion isn’t about social ability. Instead, it’s about the source of your stimulation and energy – being around others for extroverts, having alone time for introverts. Therefore, you can develop the necessary social skills. Start small – talk to the person next to you in line at the coffee shop or the grocery store. Call your close friend who also has phone anxiety and practice together. Even if these encounters don’t go glowingly, remember that it’s a process of skill acquisition. That takes time. Insert all kinds of clichés about taking it day by day or ten thousand-mile journeys beginning with a first step – it’s all true in this case. 5 Review your sales calls. This might be as horrifying as making calls for some of you. 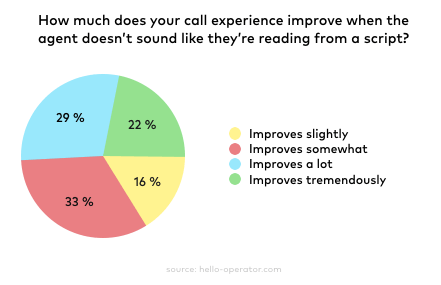 But one of the best ways to improve is to listen to recordings of your previous calls – especially with someone more experienced, like your sales manager. Break down the call into its components and see where you did well, and where you need to improve. This close reading, or perhaps better said, screening, requires you to play close attention to the fine details of your phone interactions. It’s also great for monitoring your progress (“Hey, I sound a lot more confident at the start than I did two weeks ago!”) and locating the spot areas that require the most work. Yes, it’s awkward. Yes, many people hate the sound of their own voice (primarily because the voice in our head is different from what others hear). But through time and exposure, we can become used to our own voices and more comfortable listening to recordings so that we can discuss ways to improve our sales calls and phone skills. 6 Know your elevator pitch like you know your hometown. Sales reps’ ability to close begins with knowing the ins and outs, the very minutia of what they’re selling. After all, if you don’t know it intimately, how can you expect your prospects and clients to do so? More to the point, know not only the intricacies of your offerings, but understand how those details apply to solving problems your prospects and clients have. With this information, you can develop a short, 30 seconds maximum elevator pitch. Why does this matter? It gives you the basic framework for how to highlight your company’s product/service to potential customers – including how your solution resolves an issue they’re having. 7 Reframe your thinking to one of helping, not intrusion. Many people with phone anxiety are also empathetic and caring. They know what it’s like to be intruded upon by an annoying telemarketer or sales person, and so have a tendency to think of themselves as that irritating individual who is interrupting a busy prospect’s day. That type of thinking permeates the atmosphere of the conversation, and the person you’re calling picks up on that negative energy. No surprise at all when they reject you then, is it? They’re just picking up what you’re putting down. But if you shift your thinking from intrusion to assistance, you can change that energy and be more confident in sales calls. The marketplace these days dictates that buyers want their sales reps to be trusted advisors – not just order takers. Put yourself in that mindset. You know your offering and how it solves problems for your customers, so you’re not being a pest. You’re helping them alleviate an issue that’s been bothering them far more than you ever think you could. Framing your thinking to one of helping prospects and customers not only makes for more positive energy. It also reduces the stress and pressure on you. You’re, of course, trying to qualify or convert them. If your primary focus is one of advising, it’s a much less stressful experience for both you and whoever you’re calling. After all, if they reject you, that’s cool. They just opted not to take your advice right now. Phone anxiety is a common problem, with a variety of logical causes. But there’re also plenty of ways to reduce, and eventually vanquish entirely that fear. Just follow these guidelines, and you’ll be cheerfully chatting away to customers and prospects, converting and closing with your advisor-first stance. Justin Zappulla is a Managing Partner at Janek Performance Group. He has worked hand-in-hand with a global clientele across a variety of industries and business segments including technology, finance, consumer goods, healthcare, and manufacturing. With extensive sales performance management and training expertise, he works with hundreds of companies to develop and implement strategic sales performance solutions.